About 2 years ago I announced the kickoff of PWA Builder. Our goal was to empower web developers to compete in an often app focused economy by building Progressive Web Apps (PWAs) from their web sites. 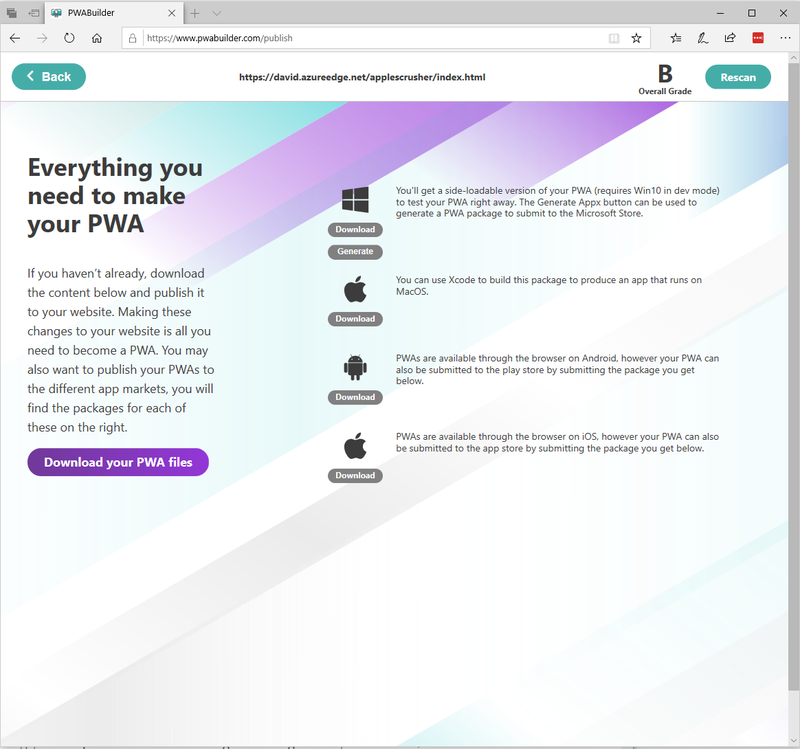 We released PWA Builder as an open source community project because I felt strongly that cross platform/ cross browser efforts like PWAs should be driven by the community. Since our initial release, we’ve had contributions in both code and thought leadership from developers at Google, Mozilla, Samsung, Intel, Twitter, fellow Microsofties and more. However some of our most valuable contributtions have been from users who have taken our project and used it to reach their cross platform goals. Our updates are with those developers in mind. Your PWA Builder Score: we have been focused on manifest and service worker creation, but we see more and more developers coming to us to help fill the “PWA Gaps”. 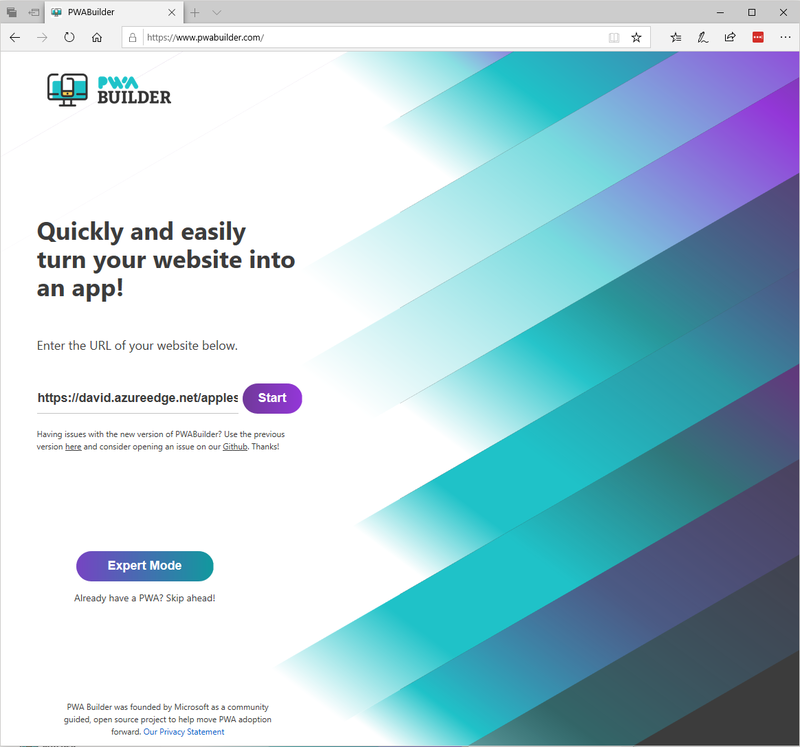 The hub page will help devs better see the work they can still do on their PWA and encourage them to add the components to their site. App Features: having a manifest and a service worker does not make an app. To meet the high standard users have for mobile and desktop apps, your PWA often needs to have advanced features like authentication, system integrations and native like UI. We want to help here. New Platforms: The first place you publish is the web, but some developers want to list their PWAs in stores as well. We will continue to add options in this area. Version 2.0 will include the addion of a Mac desktop platform driven by the Webkit engine. 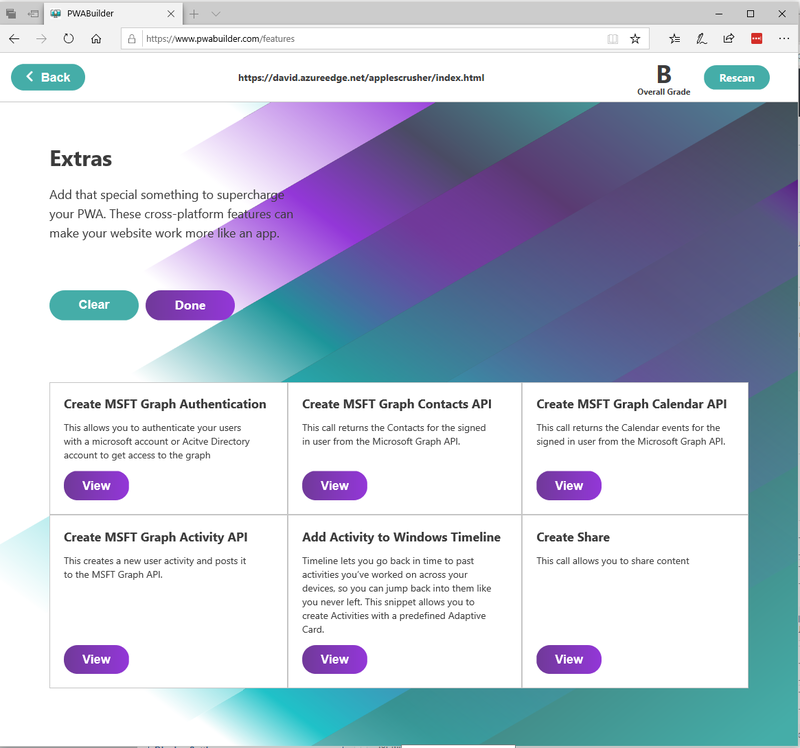 Webhint integration: We know that a PWA, like any web app needs to be accessible, performant, compatible, and secure. We are working with webhint.io to bubble that info to our dev community. 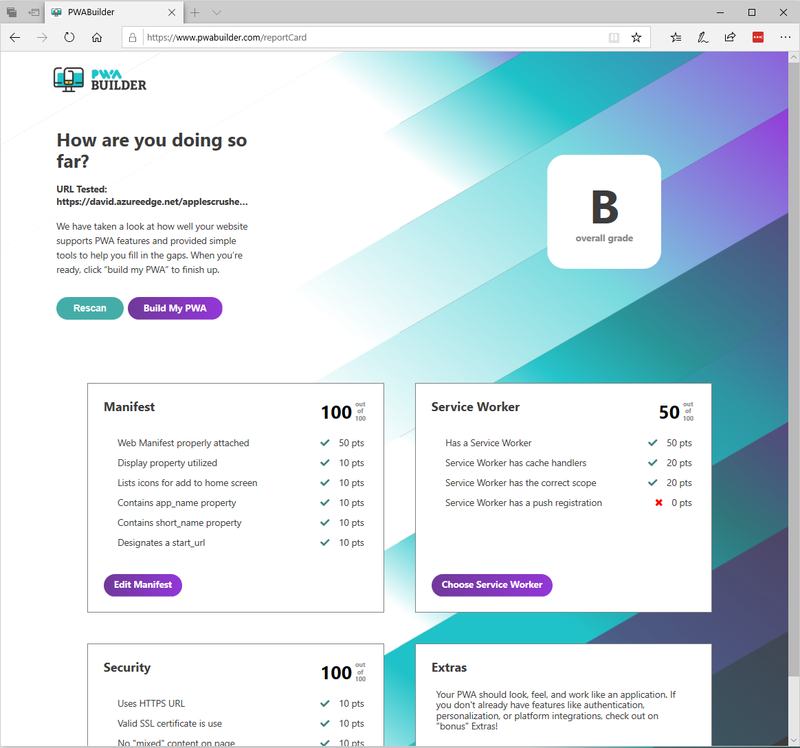 More service worker options: We’ve always prided ourselves on building a few simple service workers that can work almost anywhere. We want to keep with that theme while expanding our options for devs. We also want to help devs onramp to more advanced tools like WorkBox when appropriate. Today, you can see some of these great changes today with our 1.9 release (live now) and the full 2.0 release on our preview server, which we hope to release later this month. We welcome your feedback, and as always would be honored to have your contributions as well. Build on! Principal Program Manager for Web Apps at Microsoft. Blogger, Author, App Builder and developer of Manifoldjs. Lover of all things JS.